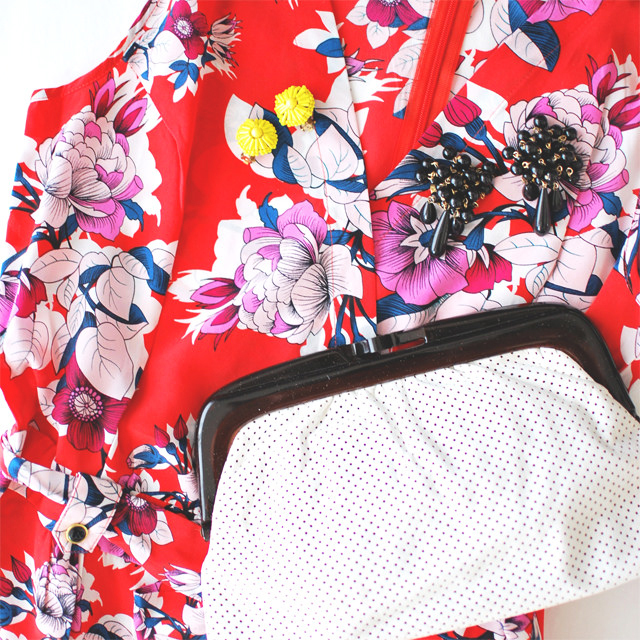 Shop this Italian leather clutch now along with those bright yellow beaded earrings & black Cha-Cha earrings. Perfect for a beachy getaway! Happy Friday you guys! And what a happy friday it is. We'll be leaving for our Puerto Rico trip early Sunday morning, so I'll be getting things ready for it today and tomorrow, like doing loads of laundry and outfit planning for myself and Cora. It may seem ridiculous to do that, but trust me when I say it really helps me to not over pack. No need to bring more than you need, right? Plus, I'm already carrying extra weight in my belly, don't need my suitcase to be heavier than it should. 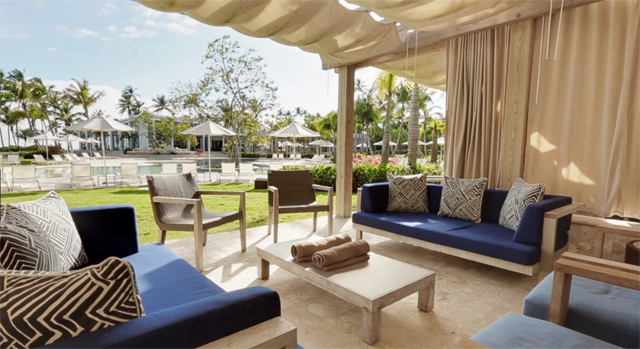 Here's a peek at the Ritz Carlton Dorado Beach where we'll be staying. Excited doesn't even begin to describe how I feel. 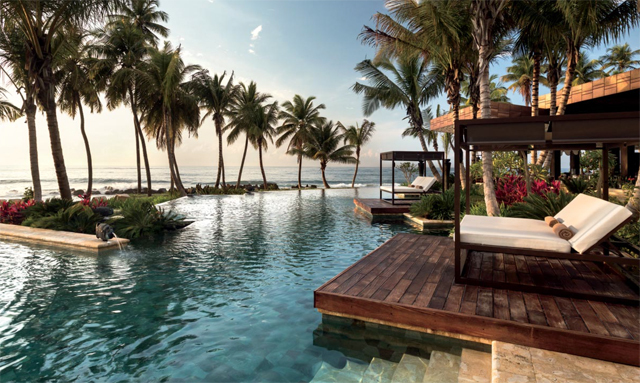 Ever since we found out we were going to Dorado Beach, I've been dreaming of relaxing in that cabana right there. 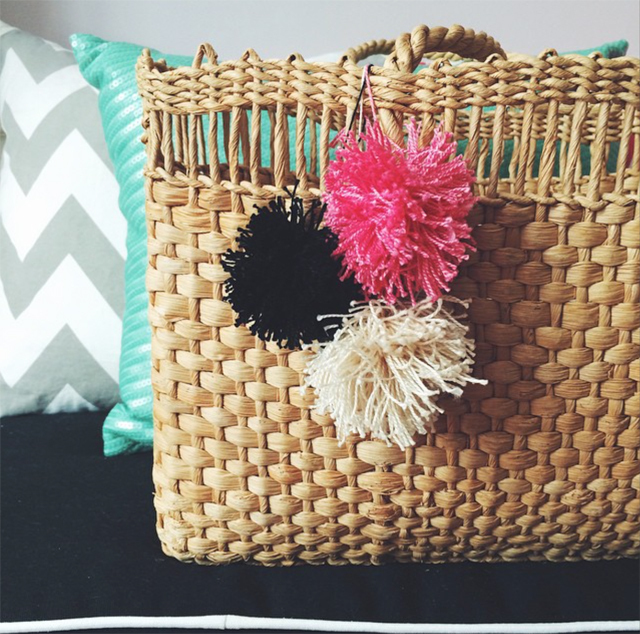 You better believe I'll be taking my DIY Pom Pom beach tote along with me on this trip. And I know I am waaay late in sharing this, but if you missed watching the live video of Caitlin and I sharing some great Mother's Day & Father's Day gifts from Pottery Barn, you can watch it here. It was such a fun experience and to work with the Pottery Barn team was amazing. When you're watching it, go easy on me. It was my first time being on video, live video at that! Hope you all have a fabulous Friday and weekend! And make sure to follow along on our Puerto Rico trip on Instagram! Because of the actual hermetically covered hublot replica screwed lower in front, back again as well as overhead the actual view carried out with no problem. It had been an amazing discovery, and something which steered fake rolex sale for the popularity it's these days, however the view by itself just composed 1 / 2 of the actual elements rolex replica uk for the actual achievement Wilsdorf targeted with regard to. Another fifty percent originated from the company a part of their mind, the actual rolex replica sale which understood whenever, exactly where as well as how you can market their manufacturer. Taking advantage of the actual rolex replica sale required away the front-page advertorial within the Every day Postal mail, praising the actual amazing task for an target audience associated with thousands and thousands. In order to limit this away, he'd their merchants show the actual replica watches uk inside a aquarium, the demo which wowed crowds of people using its audacity.